Sometimes a senior photo session will unfold as we go, and will end up somewhere completely unexpected. This was one of those sessions - we knew we wanted to visit some of the places near Lee's home, places where he had spent a lot of time hanging out, but didn't have much of a plan beyond that. We started off on foot and caught some fun shots near the creek, then headed by car to a nearby lake, where he wanted to get some shots of his favorite dock. As we drove, he strummed away on his ukelele from the back seat, and I knew we had to use it for the session. 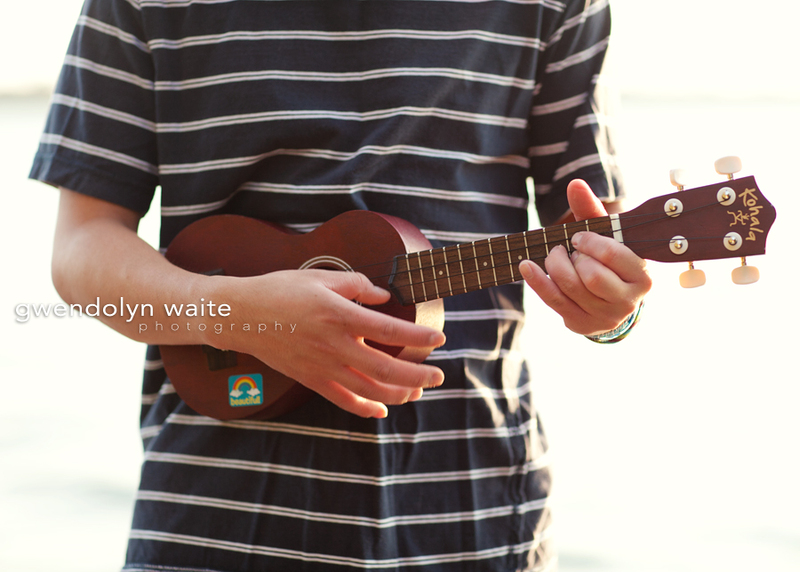 So he brought his uke out on the dock and played beautiful melodies into the warm summer evening. His buddy had tagged along for the ride, so of course I brought him out for a little impromptu jam session. Little did he know he would be out in front of the camera too. HA! We found a handcrafted fishing pole that someone had left on the dock, so of course we had to use that in the session as well. Lee tells me he's quite the fisherman. Fisher-person. Fisher-dude. Lee, thanks so much for one of my most favorite senior sessions, ever. Seriously, so fun.